What is golf’s fundamental to lower golf scores? This is a question I have given considerable thought to solve. The answer is something that will empower any player and greatly enhance our golfing experience! Consistency of Effort Is the Key to Low Golf Scores! The real challenge is to boil this very complex issue down to one simple solution. This methodology appears to the core foundation in today’s society, so the golfing world is trying to adopt it to gather new players. Is it really possible for golf? I read many golf blogs about the trials and tribulations of being a better player. Some stories talk about triumphs and others of woes; I find them all educational and entertaining, but most of all they point to a similar fundamental action they all strive to achieve. I believe the fundamental rule to lower golf scores is consistency of effort! It is a simple solution, yet can be extremely difficult to attain. Consistency of effort is the backbone of great golf. What is consistency of effort you may ask, well let me tell you! I have this fundamental rule broken down into three areas. These areas can be as detailed and involved as you want, but they are all needed to be a better golfer. Be a student of the game. 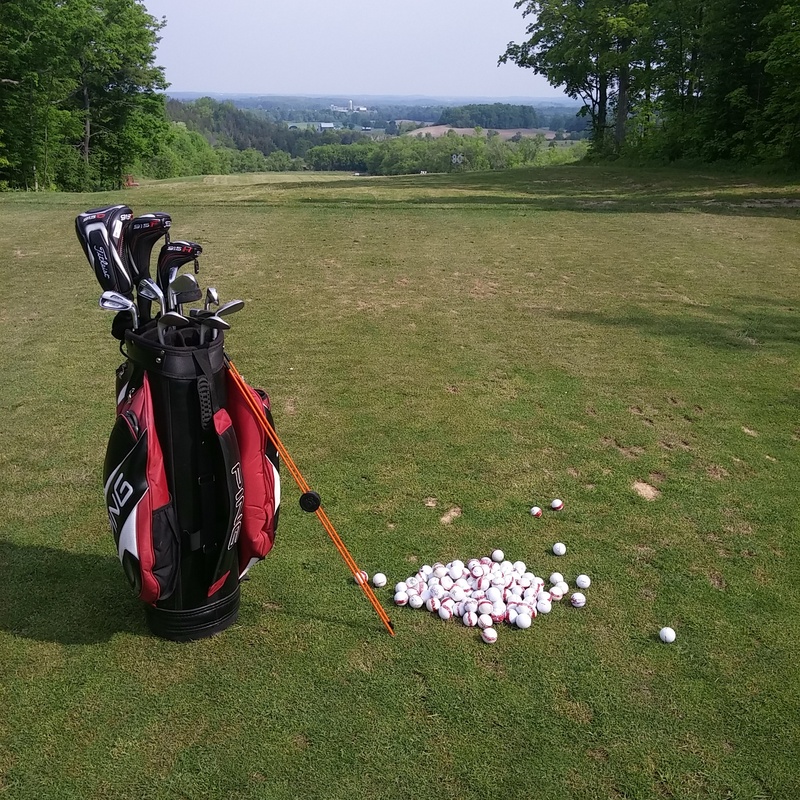 To play better golf we have to educate ourselves on the best ways to swing a golf club, manage the course or stay focused during the entire round. It is important to understand that this is different for everyone. We need understand how to do something to be able to apply it to our golf game. Become a student of the game. Devote time to playing better. For some this means hitting the range regularly; others it means playing often; and some it means chipping into a bucket in their backyard. Regardless, golf is not a game where a player can walk away for 2 weeks and expect to shoot low scores all the time. It is important to devote time to hone your skills to be a better golfer. Play golf like you practice. This is a critical part of the entire process! It makes no sense to learn and practice something to never use it when playing. This stage of the process can be the most frustrating, however it also can be the most rewarding when everything comes together! Play like you practice. Consistency of effort is the fundamental rule to great golf. There is no set time limit or magic tip that will instantly transform you into a great player! Think of something you do extremely well; did your greatness happen over night? I would suggest not, you consistently, through small incremental changes, improved. Well golf is no different. It takes time to improve your game and the only proven method of success is consistency of effort! As always good advice. And yes start by being a student of the game. It is important to know and understand the game to get better. There are always learning opportunities if one keeps their eyes open. Great points. Being a student of the game is important and often overlooked. When I do something well, it is so much more valuable to know “why” I did it well, to give the confidence to continue to repeat it in the future! As opposed to just hoping I can repeat it in the future. Same goes for the bad shots. If you’re on the course and understand why that happened, you have the confidence to turn things around and won’t feel lost. Good post. You have grasped what I was talking about very well! Learning from good and bad strokes is important! Thanks for commenting.